Modern cars are getting a lot more complicated and nowadays, you can’t even replace your brake pads on your own vehicle without a computer. This is at least what we are hearing from our customers. But how is the case? Is it really that bad that you need a computer to replace your rear brake pads on your new Audi or Volkswagen car? In this article, you will find your answers about electric brake pads on the most common cars on the market. How do I know if I need a computer to replace my rear brake pads? First, we have to figure out if you really need a computer to release your brake pads before replacement. There are some different ways to figure this out. The first thing is, of course, to call your authorized dealer or check your repair manual of how to replace your brake pads. You can often find the repair manual online by searching for your car model and repair/service manual. The other thing is to check it manually by jacking up your car safely and take a look underneath the car at the brake callipers. There are two different types of brake calipers when you have an electric handbrake. The first one is that you have a separate electric motor on each brake calliper. This is the type of callipers that we need to use a diagnostic tool to be able to push in the pistons. 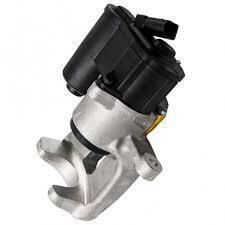 This type of brake callipers, you will often find in Audi, BMW, Volkswagen and other German cars. You can often find these in American cars also. You can see this type of brake calliper on the image. If you realise that you have an electric motor on your callipers, with a separate wire to it, you can go through to the next step in this article of how to replace your brake pads with an electric parking brake. The other variant is that the car is using an electric motor underneath the car, which pulls two steel wires, just like a normal handbrake. You can identify this by following the brake wires, but however, if you have an electric parking brake and you can see the wires on the brake calipers, you do most likely have this variant. This variant is most often found on Japanese cars like Toyota, Nissan, Kia, Hyundai and Honda. Just remember that on some cars with these brake calipers, the left side piston can be left threaded, which you have to turn it counter-clockwise to push in the piston. Test carefully and see if the pistons are getting pushed in or coming out when turning. With these kinds of brake calipers, you do not have to use a diagnostic scanner to replace the brake pads, you can push in the pistons with a tool like this on Amazon on the link down below, but always make sure by checking your repair manual before replacement. So, if you have identified your brake calipers and realised that you have the model of an electric motor directly on the pistons, you can continue to read here. Because the piston inside the calliper got a threaded rod inside, you have to twist it back and that you have to do with a diagnostic tool to push in the pistons and replace your brake pads. You probably also heard that you can push it back with one power and one ground cable. That’s true, but nothing I can recommend because you can easily damage things and yourself. You also probably will get a warning light on the dashboard after you replaced it. Go through this steps and the replacement of the brake pads will get a lot easier. You need some tools to do this properly. If you don’t want to buy them you could always lend it from a workshop or a friend if you are asking nicely. 1. Connect a car battery charger. You should always connect a battery charger when you are doing this job. Without it, you can get low battery voltage and destroy electrical parts of the electric parking brake. If you don’t have one at home I can recommend this one for a universal use: NOCO Genius G3500 6V/12V 3.5A UltraSafe Smart Battery Charger. 2. Connect a diagnostic tool. Before you start taking anything apart I recommend that you start with the electric parking brake tool. If you already started the job, the best thing to do is that you put everything together again to make sure that your pistons aren’t pushed out from the calipers when using the tool. If you don’t have a suitable OBD tool for this job. You need one that works with your vehicle and can read the electric parking brake control unit. The most cheaper OBD2 scanners can often only read the engine control unit. Always read the item description so you know that it works with your vehicle. It has to be able to read the parking brake control unit. 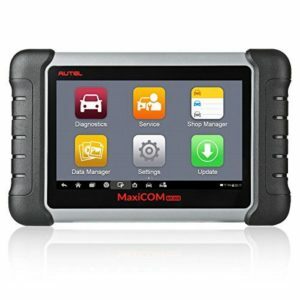 You can find a suitable OBD2 scanner here on our other article: Best OBD2 Scanner. If you have an OBD2 scanner, plug it in and follow the instructions of how to start the electric motors to push in the pistons. You will hear when the tool screws back the piston rods. The warning lights will start flashing. At this point, you can now shut off the ignition to make sure you don’t damage anything while you are doing the job. 3. Replace Brake Pads and push back pistons. Now when you released the piston rods inside the calliper you can change the brake pads and push back the calliper with a suitable tool. (Big plier etc) or with a tool used for normal rear brake pads replacements like this one on Amazon. When you put everything back you can go to the next step. 4. Press the foot brake pedal. Warning: Always do this after a brake pad replacement immediately!! If not, it can result in serious injuries or damages to your car. If you are not doing it, you will drive out from your garage and the brake pedal will go down to the floor when you are trying to brake without any braking force at all. Push the foot brake pedal a lot of times until you feel that the piston reached the bottom until it gets stiff. Now you can connect the diagnostic tool again and use the function “After brake pad replacement”. You will hear when the brake calipers reached the pads. After you did all the work you have to do a basic setting with the diagnostic tool. It will push the piston rods forward and backwards a couple of times to learn the default values and store it in the parking brake control module. You can now test the electric parking brake function a couple of times to see that it’s working properly. Take the car out for a long drive to see that everything is okay. Check that the rear brakes don’t get very hot, no strange sounds and of course the brakes should work properly! Take a Test drive and make sure that your ABS-Light or other warning lights are not ON! You see, It wasn’t that hard at all if you have the right tools (like every job). So, the electric brake caliper thing was maybe not as bad as your expected. The pros of brakes is probably a fewer than with the old style ones, but you don’t at least have to push the handbrake with force everytime, and it’s most likely not the same chance of forgetting releasing the parking brake with your trip. I hope you liked this guide and if you have any questions or something you want us to add or change in this guide you can comment in the comments down below and I will try to answer all your questions as fast as possible.